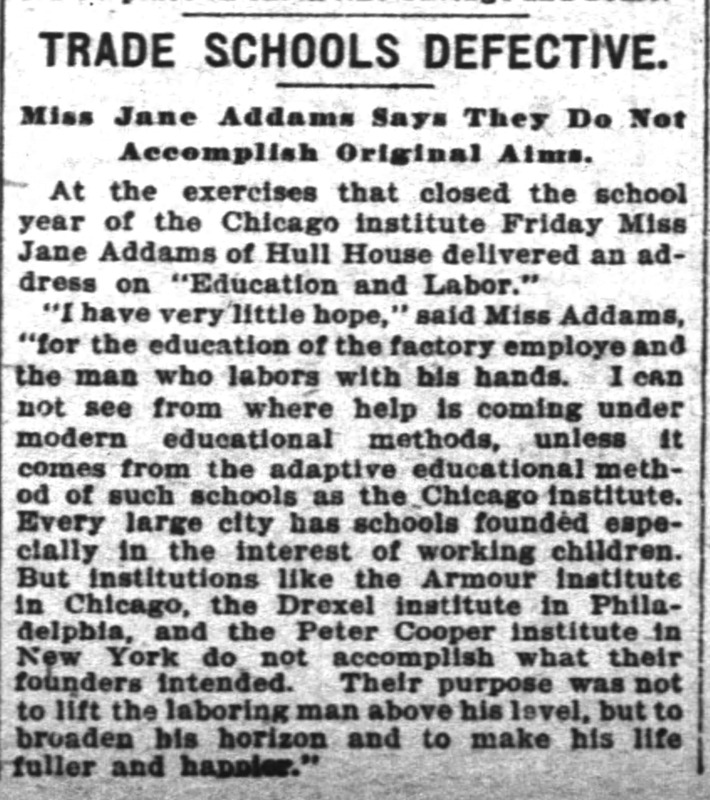 "Trade Schools Defective." Inter Ocean (Chicago, IL), June 23, 1901. p. 4. 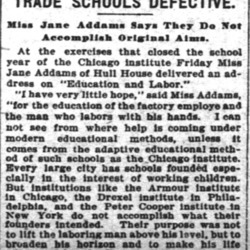 Addams, Jane, “Address to the Chicago Institute, June 21, 1901,” Jane Addams Digital Edition, accessed April 25, 2019, https://digital.janeaddams.ramapo.edu/items/show/16241.